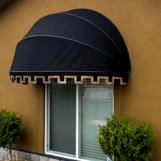 We offer a variety of door & window awnings for commercial and residential locations. We have a large selection of colors ands styles to fit your needs. 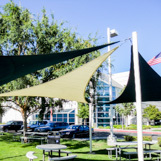 Our retractable awnings provide a tasteful covering that can provide needed shade during the day and quickly retract during the night for a beautiful view. 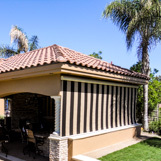 Roll up shades are a great way to keep your patio cool in the summer and warm in the winter while still enjoying your view. 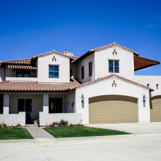 We also provide custom options for commercial and residential applications. We can have many custom fabrics & colors to choose from.